If you are here you must be looking out for Mindful Parenting, Mindfule Pregnancy, Natural Living and Healthy Living Tips. A doctorate degree holder in Agriculture, Mother of two energetic boys , Founder of Simple Indian Mom – India’s Top Mindful Parenting Guide, Owner of SIM Organics – India’s Top Online Superfoods Store, Mindfulness Coach and mindful parenting consultant. Thank You for your interest in connecting with us! We are super glad you are here! Here you will find all information to advertise on Simple Indian Mom – The Site and If you are interested in buying our products in SIM Organics – Our Shop. Parenting is an art which can be perfected with regular practice of mindfulness. This combination of mindfulness and parenting is something we at SIM excel in. 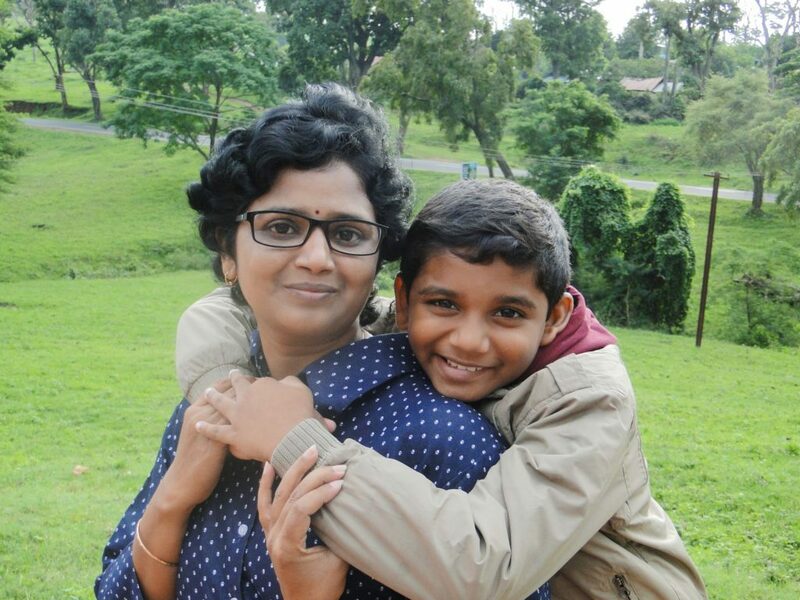 Our Founder Dr. Menaka Bharathi believes that life needs to be measured with happiness quotient rather than other different emotional, intelligence or other quotients that are making the world go crazy and parents pushing their children towards unhappy goals. She has proven time and again through her practice that you can easily guide your child towards success without having to compel the child, rather make him/her want to do the task with enjoyment. In fact some of her courses give you so much insight about the child’s likes and dislikes like clear water. Dr. Menaka Bharathi puts in all her experiences learnt through different mindfulness courses she into four different ecourses that would guide you through from pregnancy to parenting teens. She is Agricultural Microbiologist and knows what it means to have some good and bad microbes in the food you give to your kids and family. With a mission to make the world healthier, Dr. Menaka Bharathi has come up with trainings, suggestions and courses in growing your own veggies. She is a columnist and has published online and offline works. The Simple Indian Mom is a reflection of her life, knowledge, wisdom. Sponsored Posts and Reviews: we are open to Sponsored Posts and Product Reviews. The Product (physical of APP) should align with my website. The product has to be beneficial to children and parents. Reach out for our rates and media kit. Advertisements: Sidebar and banner advertisements can be availed on specific posts at special monthly and quarterly rates. Giveaways: we are open to giveaways that bring something exciting to my readers. As said earlier they must be close to our review costs. we would give a review with the giveaway. Guest Posts: Guest post from parenting bloggers and bloggers whose blogs that align with our interests can be considered. You can pitch with your ideas at the following contacts. Twitter and Instagram are the quickest places where you can reach me. thanks Thirunavukkarasu avargale! I would surely like to guestpost! I do have a Health Tips Blog, would be interested to Posts Health Articles as Guest Author. Also install me Daily Health Tips Android App & Give a Review on Play store. You are welcome Kanchan, It would be gr8 to induct some people who are already trained. I am a freelance writer with more than 16 years experience. I have just started an online writing course to help women find their way in the amazing world of freelance writing!! I have asked some of my students to connect with you. Hey thanks Raksha,,, love to write more soon..
Great interesting articles :)Liked them.. Your website is very informative I must say. I found your website content is good & relevant. I am a webmaster too, and I come across very few websites that offers such useful information. I want to let you know that I too, have health website and am enthusiastic of getting a link from your website to mine. If you are interested to do so, then please let me know and I will send you the details immediately. You can send me your link detail which I will activate within hours. In case you?re not the concerned person, please pass this request to the concerned webmaster. I would also like to inform you that it?s not the case that I’m exchanging links with every website I come across but with only those sites whose content I find felicitous and relevant, and I am glad to inform you that your site is one of them.